Q13: How to record human voice? Click the Record in your own voice button to turn on the Recorder. Click Record button and read the article to your microphone. 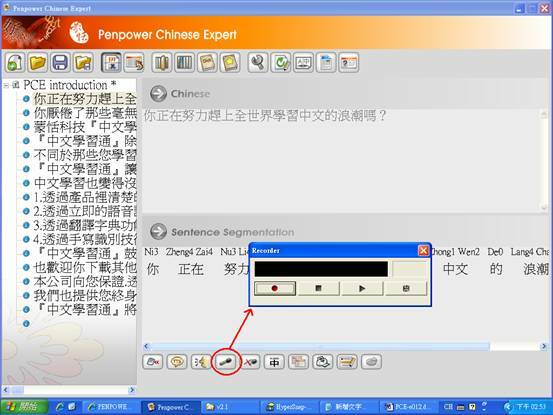 Click Stop when finishing the recording, Click Save to save the recording. When you click Human voice function next time, you will hear the recording result. You can also record the phrases in the Phrase Database. Double click one phrase or click Phrase Database button. Click Record in your own voice button to record the speech. 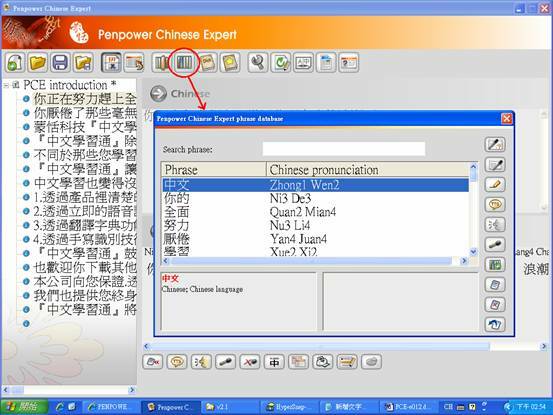 Copyright © 2012 PENPOWER INC. All rights reserved.